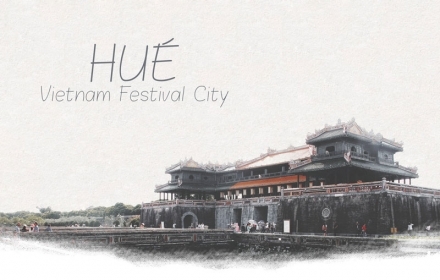 The Hue festival city of Vietnam. Following the success of Hue International Balloon Festival held last 2017, people are anticipating the Hue International Balloon Festival 2019. This would be the third international balloon festival in the city. 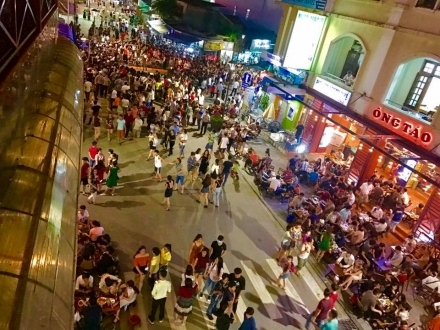 An event that aims to increase the number of local and foreign tourists in the city of Hue. Hot Air Balloon Festival is considered as one of the trendiest ways to attract visitors from all over the world. 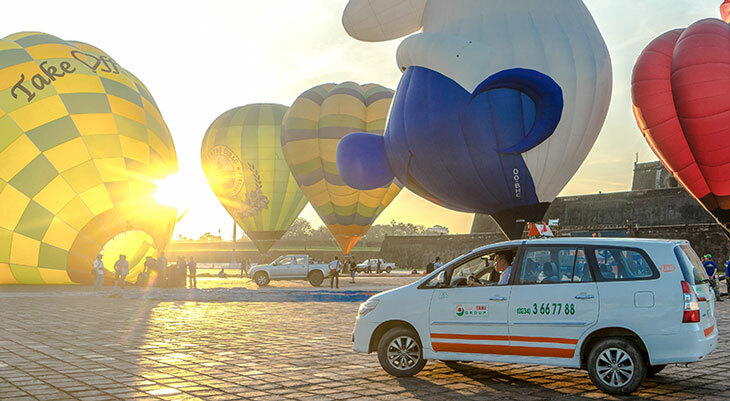 Aside from the city of Hue, Danang and Moc Chau have been successful with their hot air balloon festivals as well in the past years improving their local tourism industry. Every 2 years, the Hue Traditional Craft Festival organizes events like this to promote tourism. 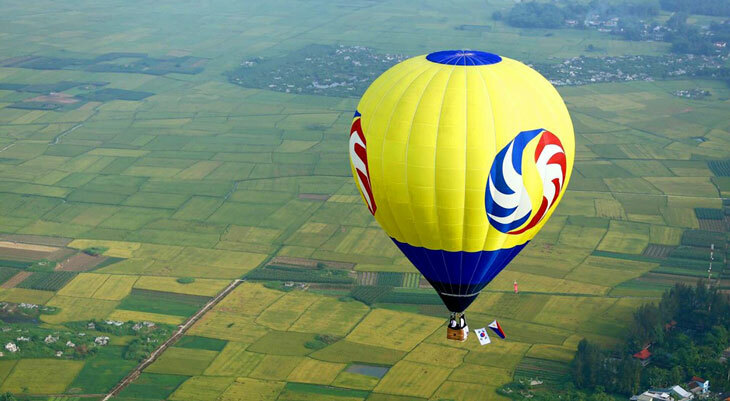 Countries like Japan, Malaysia, Thailand, Vietnam, and the Netherlands will be participating this year’s hot air balloon festival. These hot air balloons include the free-flying, hung-flying and the mini hot air balloons. 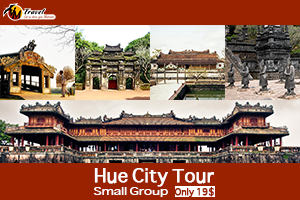 Start from Hue Imperial Citadel, you will have a chance to see all of Imperial City and countryside. The festival will be held in front of Ngo Mon Gate in the Hue Citadel. 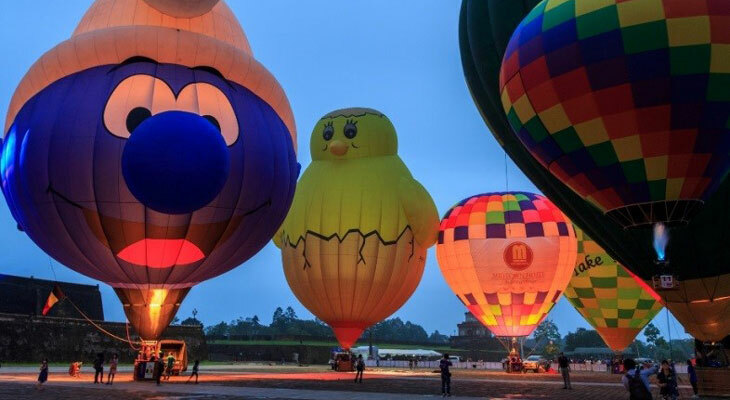 Several numbers of colorful hot air balloons will be displayed from April 26 to May 2, from as early as 5:30 to 9:00 in the morning; and from 4:30 to 6:30 in the afternoon. The highlight will on the 27th of April at 7:30 in the evening where the hot air balloons will be lit up to the skies, a definite must-see event. 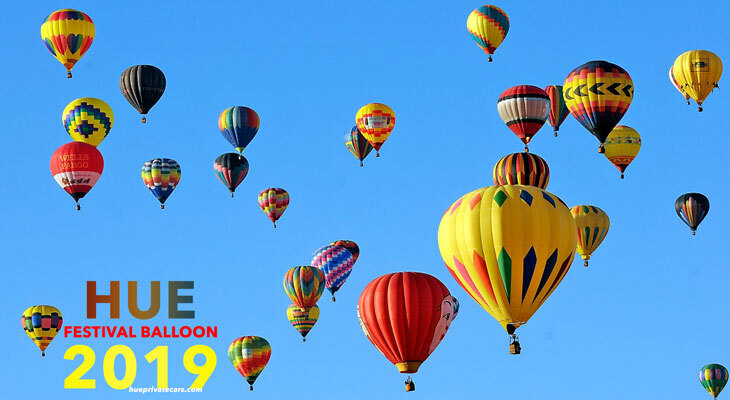 This Hue International Hot Air Balloon Festival 2019 will bring new and exciting experiences to both locals and visitors. 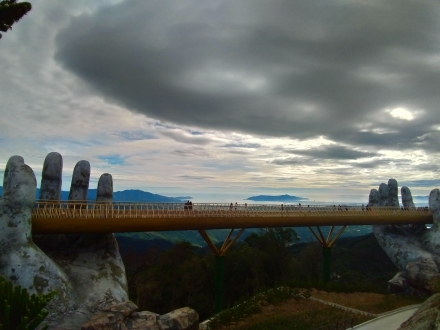 It is expected that the number of visitors in the city will grow significantly during the event. Considering the fact that the city has its own UNESCO World Heritage Sites like the Hue Citadel itself, tourists will have more reasons to visit Vietnam’s ancient capital and Nguyen Dynasty Imperial City, Hue on the 26th of April until the 2nd of May.